In July of 2009, we took my elderly father on a trip to fulfill one item on his bucket list, a visit to Scotland. He wanted to visit the hometown of his great grandfather. After much planning, saving, booking, and worrying, we finally left on our international jaunt. Since we live in Hawaii, we had to jet on over to Utah, pick up Dad, fly to Boston, Paris, and finally Edinburgh, Scotland. Luckily, we had a timeshare in Las Vegas we traded for accommodations in a lovely place called The Loch Rannoch Highland Club at Kinloch Rannoch, Perthshire. My high hopes for our trip included visiting several Scottish castles, keeping my father from having a stroke or heart attack, and driving through the highlands and lowlands. Our stop in Paris, France, challenged my aspirations as we discovered there was only a half hour layover, and we had to transfer to a different part of the terminal by bus. I was afraid my father would be overcome as we sprinted with our bags to the correct gate. Dad may have started questioning his decision to come with my husband and I, but fortunately he had stayed in good form by riding his bike and taking long walks. 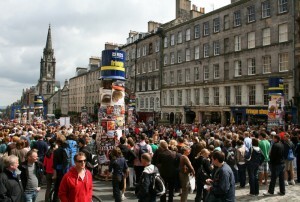 Once we landed safely in Edinburgh, the next challenge was to maneuver the streets on the left side of the street. Our rented vehicle’s wheel was on the opposite side than we were familiar with. My husband actually picked it up pretty quickly, and I only shrieked a few times, especially on roundabouts and when we ended up on a one-way street going the wrong way. After a period of adjustment to the new time zone and mindset, I began to really enjoy the beautiful scenery. The rolling hills, green foliage, forests and wildflowers were amazing. It was reminiscent of the sights we had seen on an earlier trip to New Zealand in a different hemisphere. Occasionally, we spotted majestic castles with well-groomed lawns, gardens and rows of towering trees. 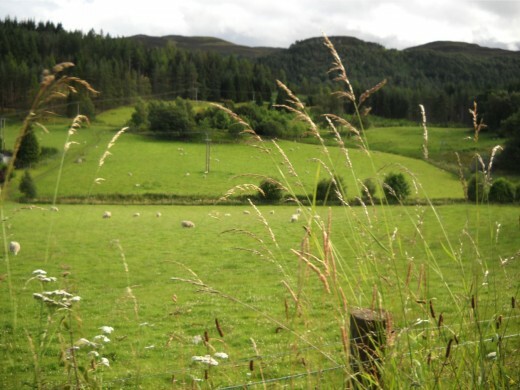 We were fortunate to travel through the highlands on very windy roads leading to our lodging. I felt blessed to have traveled to the land of Braveheart, Macbeth, Harry Potter, and the Highlander. 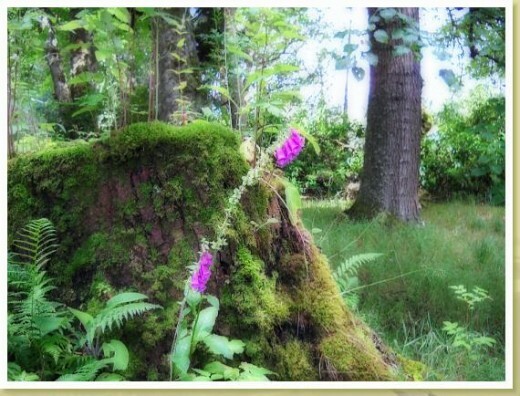 It was truly mesmerizing, with thick woodland which included wild ferns, moss, lichens and small rivers bordered with heather, pretty blue bells and other flowers. I could hardly imagine why anyone would leave this beautiful place, especially to the deserts of Utah, where our ancestors had migrated. Religious freedom had been the motivational force behind their journeys. There were several herds of sheep, which roamed in fenced off pastures along the way. Interestingly, my grandparents in Utah had also raised sheep, and I had been raised on mutton, so I felt right at home, until I got the chance to taste haggis. 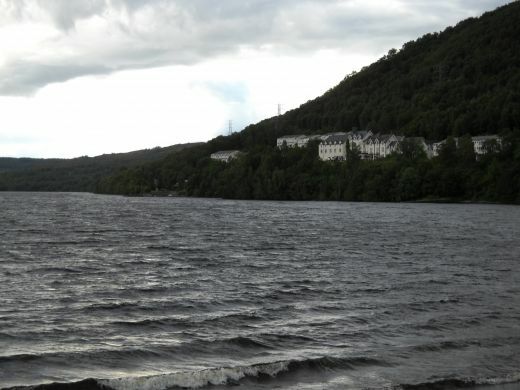 Gaelic music played on the radio along our journey, and then we finally spotted a huge loch (lake) and we could see our accommodations on the other side. It was truly breathtaking! Having finally reached our destination for the night, we bought some local food stuff and made our dinner in the fully furnished kitchen. The apartment was quaint and clean. The furniture was plaid, and the best part was the view out the large front window. We called it a great day, and had sweet dreams of castles and seeing Glasgow the following day. I stood staring into the center of the stone circle and felt myself being pulled towards it. Sure it looked harmless, a simple circle traced out in old rocks in the center of a dark dank damp room. Still this circle was different; at least according to the tales. As the rumor went, anyone who stepped into this circle would die within weeks of their entrance, or, and this was the scariest part of the story… wish they were dead. There was a story about a perfectly healthy girl who had ended up inside the stone circle as a result of some general roughhousing. Less than two weeks later she was dead, the victim of a tragic and previously undiagnosed medical condition. Then there was the guide who lost his balance after he tripped and ended up inside the circle purely by accident. He had another accident shortly afterwards, while driving his car. He ended up a vegetable. No longer able to walk or speak. Some said he was trapped inside his own body, a prisoner of his insanity. Are these stories true? I told myself I didn’t believe them. Of course that didn’t mean I wanted to risk it. There in the underground of Edinburgh’s Royal Mile, the ghosts of both the past and the present seemed to push in on us from all sides. Was this stone circle in the room cursed as the guide said? He really seemed to believe it himself. He swore as much while we shared a pint in a nearby pub after the tour. Maybe he just liked to put one over on gullible tourists. I’m not gullible, well not very, but there in the underground city where so many people had died and even more had lived lives almost completely devoid of hope, almost anything seemed and felt possible. The old city of Edinburgh, both above ground and below, is a place where you believe in things that go bump in the night. It is a place where ghost stories are told with a straight face and a visit alone to a bathroom has you seeing shadows in the mirror, hearing noises you can’t explain and swearing off liquids. Being scared is part of the fun when you visit Edinburgh. A walking tour elicits a story of restless spirits lurking in almost every house along the Royal Mile. A seemingly innocuous parking spot a possible gravesite of one who dared to cross the queen. A modern high rise hotel is said to be home to a non paying guest, a peculiar otherworldly fire bug. Even the streets themselves are haunted. Most notably Mary Kings Close, where the spirits of the plague victims still protest the way they were walled in and left to die. 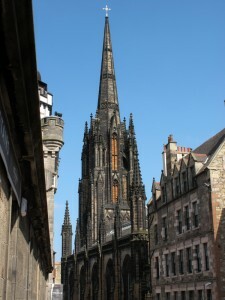 Have you any experiences of staying in Edinburgh? 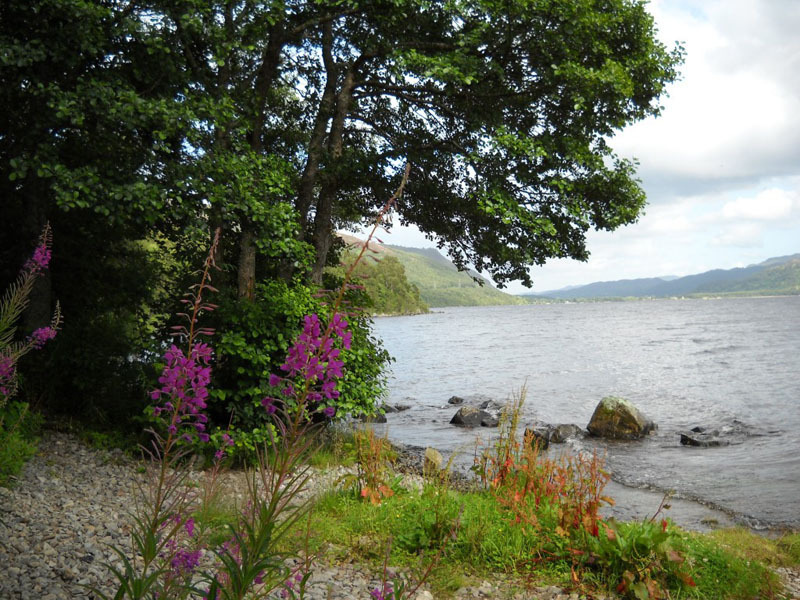 Visited other parts of Scotland? Do you have any advice or recommendations for our readers? There are several Ghost tours in Edinburgh . One well known tour company Auld Reekie Tours offers a variety of tours including visits to the underground vaults. They also offer above ground tours for the claustrophobic. They can be found at http://www.auldreekietours.com . Some hotels and hostels offer their own ghost walking tours for a nominal fee. If you keep your eyes open you’ll likely find a tour that suits your interests.